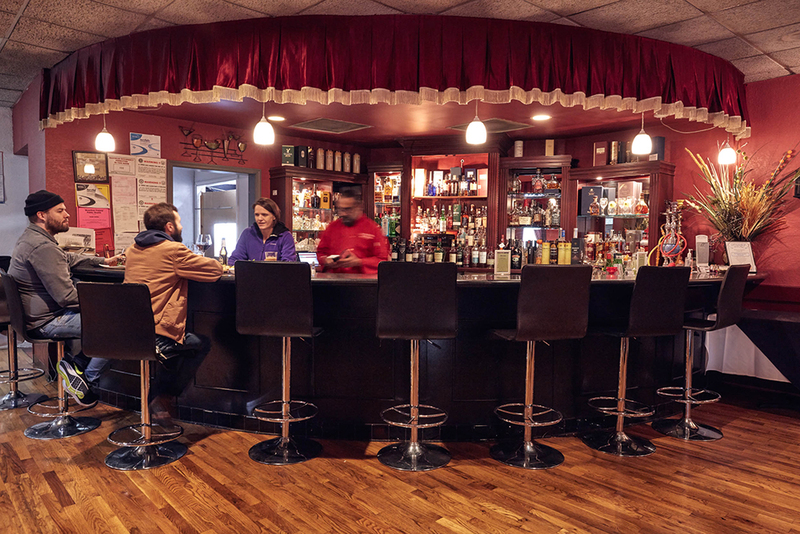 The Montgomery eatery sticks with tradition to set its Indian food apart. Indian food in America is hard to judge, because it can often be pretty good even when carelessly made. Whether coming from the kitchen of a takeout joint or from a nicer establishment, the food will rarely taste all that different. It will generally be some twist on Punjabi cuisine, the rich regional style that has come to stand, in America, for all Indian food. There will be a few creamy tomato and spinach sauces and some basic tandoori meats and breads. Even made with canned tomatoes and frozen vegetables, if the spices are approximately right, the dishes will taste decent, and the diner who happened to be “in the mood for Indian food” will walk away reasonably satisfied. It takes a visit to India—or in my case, to one of my aunts or grandmothers—to realize how much subtlety and creativity are still possible within this tradition. Indians tend to be concerned about their food. We enjoy talking about it . . . and complaining about it. When dishes served across establishments are similar—and are also eaten frequently at home—diners become preternaturally discerning. If a faint burnt flavor is introduced, say, from over-frying mustard seeds, it is immediately noticed and discussed at the table. A few such slips, and one’s allegiance will quickly be transferred to another establishment that serves a slightly better version of the same dish. Rather than beginning with one of Bombay Brazier’s more unique offerings, I began with the tadka dal, the homely soupy dish of split mung beans served in homes and restaurants in every part of India on an almost daily basis. As with many Indian classics, the ingredients are largely fixed, so it comes down to little things: the balance between garlic, ginger, and cumin; the proper degree of tartness from the tomatoes and the finish of lemon juice; and frying the onions and spices (the tadka) to the right point to coax different dimensions from them and give the dal its final bloom of flavor. If you do this last part with skill, a magical depth and smokiness can enter the dish. Bombay Brazier does it just right, and from the first bite I knew I had found what I didn’t even know I was missing: a real Indian restaurant in Cincinnati. Chef Rip Sidhu could serve this tadka dal in India, along with several other extraordinary dishes, and still do a roaring business—and this is not something that can be said of most Indian establishments in America. Dipping a roti into the dal revived a memory of a back-alley restaurant in downtown Bengaluru, where I last had an equally good version of this dish years ago. Interestingly, the most expensive dishes, particularly the roasted meats and seafood, are the least special for me. Seven prawns in the Jalfrazi style, for example, with a dollop of over-creamy vegetables and a very ordinary dressing of minced garlic, cost $28. 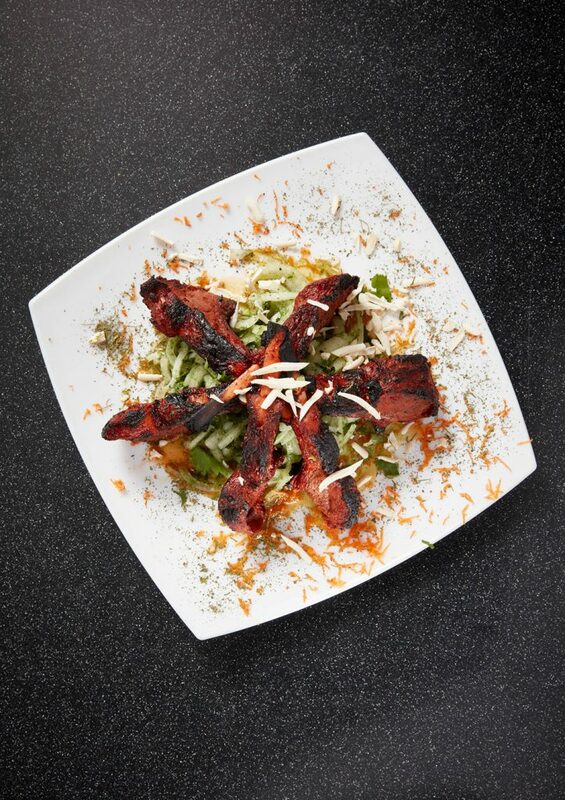 If you only get dishes like this, or the naan and tandoori chicken, you might wonder why you are paying so much. Prices are about 20 to 30 percent higher at Bombay Brazier than ordinary Indian places, but these popular dishes—which aren’t all that interesting to begin with—are only slightly better here than the versions served in other establishments. The gold is elsewhere on the menu. 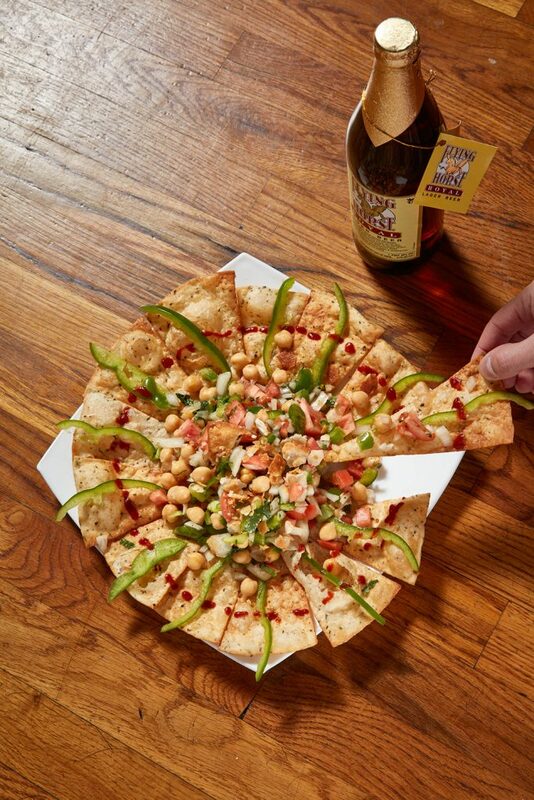 Try the papdi chaat, a common Indian street food rarely found on American menus, and you will see what sets Bombay Brazier apart. They do everything the way it is supposed to be done, from the dusting of kala namak (a pungent black rock salt) on the fried crisps to the mixture of tamarind and mint chutneys on the chopped onion, tomatoes, and chickpeas. I could quibble about having preferred a little less raw onion and some more yogurt, but having this dish properly made is balm to the soul of a homesick immigrant, and fresh treasure for any American lover of this cuisine. I was also delighted to find black lentils (or urad dal, served with skins), something only occasionally found on American menus. At Bombay Brazier, they are served in a spicy curry with lamb that complements the already rich, meaty quality of the lentils. 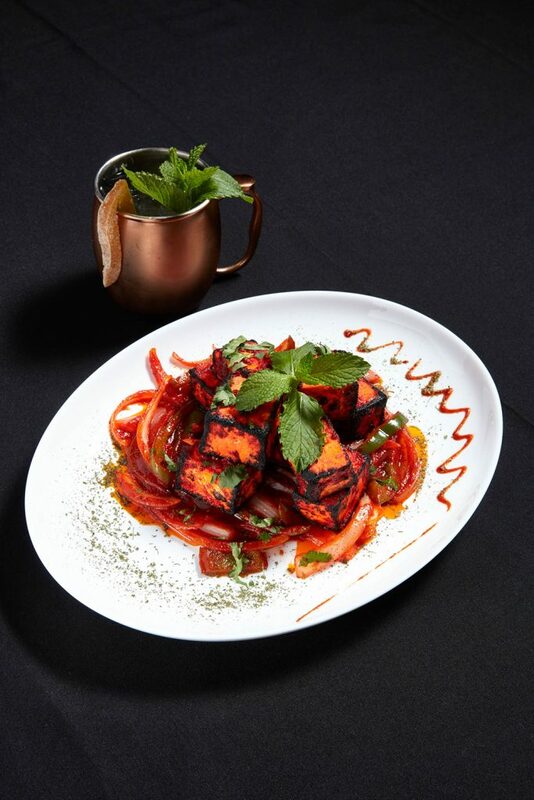 The paneer is of good quality, and is used to particularly lovely effect in the fennel-laced shahi paneer curry, where cream was used in a delicate and appropriate way, as opposed to the indiscriminate filler it has become in most Indian restaurants. Throughout the saucier offerings, I could taste freshly grated ginger, recently roasted spices (as opposed to powdered mixes), and attention to the balance of flavors. Service, even from the mostly American waitstaff, is fairly knowledgeable, with useful warnings about the heat. Don’t be cocky: The jump from a three to a four on the spice scale was actually too much for me on certain dishes, like the otherwise delicious baingan bharta. Actual disappointments were rare, but the sweet offerings were a little halfhearted. The mango lassi was overly thick and under-yogurted, and I found the pistachio kulfi, the classic Indian version of ice cream, strange and unsatisfying, with a discordant note of mint instead of the cardamom and saffron I expected. Still, Bombay Brazier is a reminder that food from this tradition can do more than satisfy a craving. In thoughtful hands, it is capable of greatness. A taste of what North Indian food can be at its best.